SUMMARY: Today’s technology-led consumer habits give news media brands wonderful opportunities to expose and advertise a point of view, as well as to think about how to reinvent a media industry for today. One of the most tired debates in the media world is that of traditional versus digital media. Regardless of how much we still remember a world without Internet and smartphones, despite how much you have invested in servers or printers, real life has already left all of that behind. Technology is so omnipresent that people on the streets don’t think about platforms anymore. They just want to know, watch, play, read — and they expect to do it in multiple ways. All at the same time. From my optimistic standpoint, that gives news brands one of the best opportunities they’ve ever had to either solidify their reputation or establish a new one. One way or another, people are still going to want to know what’s going on. And if consumers are redefining their habits, so are marketers. Money flies in flocks. This moment of reinvention requires you to ignore tradition, of course. But it also requires bandwagons and your own infrastructure. If you want to succeed, you need to see the world with fresh eyes. You need to ask yourself, if you were inventing the very first news company in history, today, how would you do it? 1. Think tweets to books. I would think range instead. There is a long continuum of possibilities way beyond what used to be considered news — some faster and more timeless than you. From the instantaneous but superficial tweet, to the depth and thoughtfulness of books, and everything in between. Newspapers, for example, may play the role of qualifying the quick stories posted online the previous day. Blogs can be a way to reflect on and dig deeper into the stories you tweeted about. Weekly magazines may be a way to show what really mattered. When you look at things in a range and unrestrained by a specific timeframe and platform, you start to see different formats working together, not against each other. 2. Expose your point of view. The lack of the old, self-defining anchor of a single medium naturally forces news brands to evolve. Ironically, this helps them discover what they were always supposed to have: a point of view. By the end of the spot, you, or anyone with a sense of intellectual independence, is ready to declare there is nothing else worth reading in the world! More recently, The Guardian in the UK created another unforgettable campaign based on the tale of the Three Little Pigs. The effort began with a short film where the pigs get arrested for killing the wolf, sparking a heated debate nationwide. But behind the parade of computers and smartphones, there was a much more sophisticated idea: open, participative journalism. That’s a point of view. 3. Advertise this point of view. The Times of India is one of the boldest brands in the world. A few years ago they won all the awards on the planet for their campaign launching a new generation of leaders in the country. 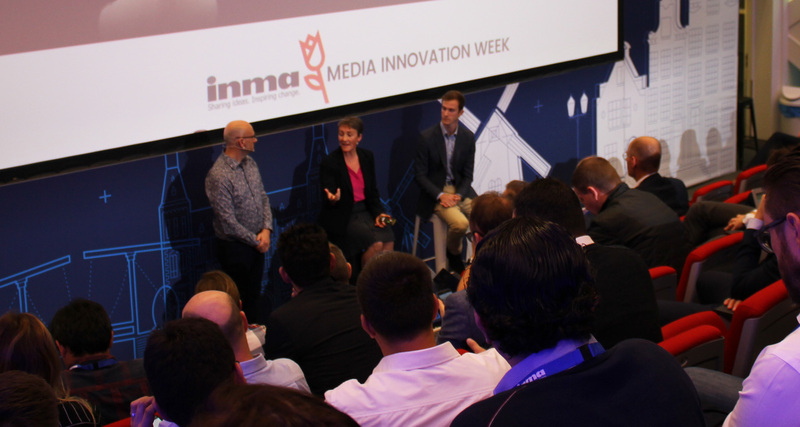 At the INMA World Congress in New York City this year, I had the opportunity to watch them explain that, when they began investing in their own brand, marketers naturally followed. This is the same behaviour I have observed in my own clients throughout the years. Chief marketing officers have a very particular way of thinking. They spend large budgets when they have something exciting on their hands, and get quiet when nothing interesting is happening. So when they watch the media space to track their own ads and accidentally see who else is advertising, they naturally infer that the others have positive momentum themselves. Consider that “kings want to be seen with kings” when you promote your brand for consumers. You are getting advertisers interested in yourself, too. Every time I talk to people from the news world, especially print, I hear gloomy comments about how magazines and newspapers have been closing down faster than ever. But news brands that fully embraced and became their very point of view are still strong. This is supposed to be an exciting time. Because that’s how innovators think. Not only the technology innovators of today, but also the most brilliant media innovators of the past. PJ Pereira is chief creative officer and co-founder of Pereira & O’Dell, splitting his time among offices in San Francisco, New York, and São Paulo. He can be reached at pj.pereira@pereiraodell.com or @pjpereirajr. PREV Repositioning from sustainable advantage to transient advantage is a big leap for publishers NEXT Price hikes on content — and then what?